I haven’t purchased a toy or figure in ages. But that all changed when I visited Deal Extreme and encountered these two items. 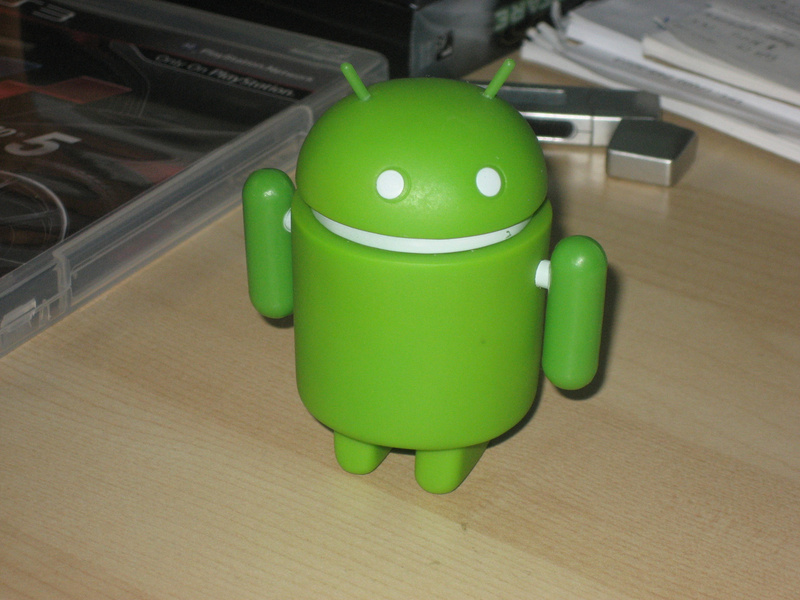 Believe it or not, this Android figure was licensed from Google — well that’s what the box said. I’m disappointed by quality of it. I don’t know if it’s that noticeable, but there’s a white paint around its neck/mouth is chipped and that black speck on its body (I can’t get rid of it). On the bright side, its arms move and so does the head. And it looks neat. I’m not even an Android owner nor will I pick up an Android product at this point in time. I do love the idea of Android and its logo though. How Many Games Did I Pre-order Again? BestBuy.ca held an online only sale Saturday and Sunday night. Games and game accessories were 15% off. All seven titles total up to $403.34 or $57.62 each. Plus, some of them even offer an additional 800 Reward Zone points (that’s a $10 value). I’ll be able to collect more RZ points as soon as my BestBuy VISA card gets here. I could have pre-ordered more, but these are the titles I believe won’t be receiving timely price drops or promotions, so I chose them. Since these were all individual orders, if I run into cheaper offers, I’ll be able to cancel my order without much fuss. My PlayStation 3’s 19 blade fan arrived today and I installed without any trouble. I started up the system and it sounds noticeably quieter during idle. I tried running [email protected] for 30 minutes or so and it remained quiet. I’ll put it through its paces when I get my hands on Castlevania: Lords of Shadow which my bro is currently playing through. Or maybe I’ll play some Bad Company 2 multiplayer. Who am I kidding? I’ll be playing Civilization V.
Which is one reason why I haven’t been playing around with the Windows Home Server v2 Vail beta I installed on the Shuttle ST20G5 finally! So far it’s been a cinch to connect and administer, but I have yet to try any backups or media streaming. Perhaps I’ll have more time during this upcoming long weekend. Apparently, Bluehost is having some server performance issues which is causing PHP calls to slowdown. As a result, QSF5.com is a tad slower to load. I’ve installed WP-SuperCache plugin to alleviate some of the load, but I don’t know how much that’ll help. I’ve also taken the opportunity to sort through some plugins. I’ve changed the sidebar login into a link located on the bottom right sidebar and I’ve removed the GameDealsCanada Twitter feed — it seemed redundant with the daily round-ups anyways. I’m also looking into optimizing images for web consumption. They’re not the smallest images, but I’ll see what I can do. On the plus side, this gives me a great opportunity to learn about website tweaking.